On an early autumn night, with a pumpkin beer in hand, situated in the back bar area of Millvale, Pennsylvania’s church-turned-concert-venue Mr. Smalls, the setting seemed to be a perfect mood for an evening to be in the company of quiet, dim-lit indie band Daughter. The venue is a small, almost homely feeling – definitely more than intimate enough for a melancholic trio to lament and confess inside. With two EPs and one full length under their belt, Elena Tonra and her fellow Institute of Contemporary Music Performance friends have crafted some of the more somber musical pieces on the 4AD & Glassnotes record labels, and in support of them teamed up with Bear’s Den to tour the projects around the United States, landing them here on a cool October 2nd, 2013. To warm up, the folk-laden Bear’s Den presented a performance that set apart the dismal, sometimes humdrum debut Agape EP release. Whereas the first few listens of the actual record itself can come across as a more arduous listen, their live set is very natural, even professional in a way that the sonics and song structures are more freely defined and definitive of the emotion/talent behind them. It’s not to say that Bear’s Den doesn’t sound great on their polished studio release, but seeing the tracks come to life by the band’s musicianship and interaction with the songs provides the missing piece of their work; the heart, if you will. The set was short, as most opening act time slots are, but enough for the early arriving audience to hear some debut EP musings and things off an upcoming follow up Without/Within EP. The rainy day banjo-infused Londoners, all together played a diminutive, but effective set, specifically highlighting “Agape” as a beautiful opener, with the lines “Tell me how long, love, before you go and leave me here on my own. I don’t want to know who I am without you,” which distinctly resonated the spirit of the night, accelerating anticipation for the main act. Admittedly, Daughter entered 2020k’s radar a week before the actual show, through a friend. Normally, the chance to see an act fully un-acquanted with one’s ears are passed on, but the emotion and genuine songwriting is so intensely powerful on their releases that it seemed like an act of regret to pass up on viewing a trio whose emotional affect was so instant. Expectations for the evening were not through the roof, but rather subdued in a way to relax for the evening and watch the band dig deeper into their discography, to thrive through the darkness of their songs, and to see a group of musicians whom fallen artistically relatable on the 2020k table. What hindered the Daughter show was a lack of clarity from the engineering standpoint of the show. While the instrumentation and creative skill shined through the entire thirteen track set, the majority of it was lost in a muddied mess. The instruments sometimes collided sonically with each other, creating chaos in clarity, and for the majority of the show, Elena’s vocals were unintelligible, often buried beneath the amount of mid-range muddiness, that doubled greatly with the various subtle effects on her vocals. Unfortunately, this is not at all Daughter’s fault, but because of it, at times, made the show completely unengaged, confusing, and all around translated a lack of pure emotion of which should have been delivered to the listener. This was a shame as there is no doubt of the talent within any member of Daughter. At any rate, musically the show comprised of a musical chemistry within the band as they despondently delivered their sorrow sonics, at times, playing off of it, saying “Here’s another sad song.” “Smother” and “Youth” obviously showed strength in their delivery, as they’ve been pushed to the forefront of their promotion on various projects, but different tracks like “Landfill” and the stunning opening track from If You Leave called “Winter” came out to play as well. At the end of the night, I had a Daft Punk shirt on, because I thought it would be funny considering the band did a cover of “Get Lucky” live on BBC Radio One Live Lounge, and ironically enough, after a compliment from an individual on the shirt (thank you!) the band came out as an encore to finish of their performance with this specific cover. A wonderful, completely human rendition of the song was broadcasted, still sonically doomed, but still a wonderful end to a good, still, and honest night of musical solemn evening. Side note: During this song, boyfriend looked over at me after the line “If you’re in love, then you are the lucky one” and said he was a lucky one. AAAAWWWWWWWWW, so cute it makes you sick, right? I swooned (and then we were up all night to get lucky if you know what I mean. Just kidding..). Special thank you to Andrew for coming, and to Thom for turning me on to Daughter. Also, my apologies to the bartender who made his way somewhere else before I was able to leave a tip! Still feeling bad..next time you’ll get a few extra dollars (I’m always there, just look!) Also, this paragraph is supposed to be smaller in font size than anything else, but WordPress is being strange, so just imagine that this text is smaller. 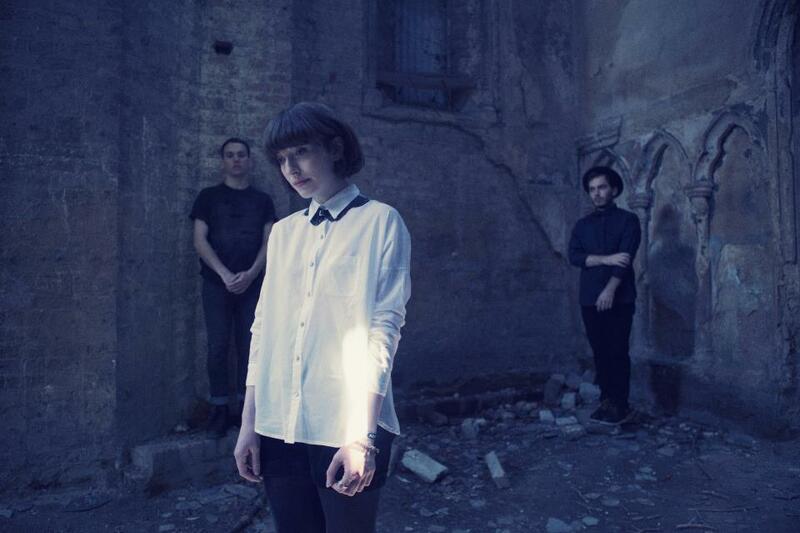 Check out If You Leave by Daughter. The first full length, released via CD, vinyl, and MP3 on April 30th, 2013. Amazon link. This entry was posted in Tour and tagged Agape, Bear's Den, Daft Punk, Daughter, Get Lucky, live, Mr. Smalls, Pittsburgh. Bookmark the permalink. Great review, you nailed the feel of the environment. Her stage presence is incredibly engaging. There were also some setbacks sonically at the Vancouver show, but again not enough to really hinder the overall performance.